Head of Knesset's House Committee says Likud must not only be in power but learn to rule. 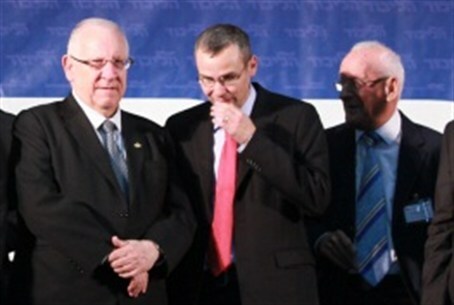 The Head of the Knesset's House Committee, MK Yariv Levin, told Arutz Sheva Tuesday that the Likud primaries signal that Likud has made a historic decision to go back to its ideological roots. Levin was elected to the ninth spot in the list despite a relatively modest campaign. "About 30,000 people expressed their confidence in me," he said. "This is a very moving thing. It is also an expression of confidence in the way that I led in the previous term, of not just being in power but also ruling, of strengthening the settlement enterprise and effecting the necessary change in order to balance the legal system." Levin is convinced that his success is an expression of the support for his work in the Knesset, and not a result of his campaigning, which was relatively low profile. "My parliamentary work and the views I espouse express the thoughts of many in Likud whose positions have not been translated into deeds until now. This is the main stream that thinks we have an obligation to realize our right to the land. "It is time also to make a change that includes the principle of separation of government branches, so that there is real rule of law here and not a rule of the judge. These are very important matters." Levin thanked activists countrywide and especially in Judea and Samaria for their efforts which he said made his success possible.